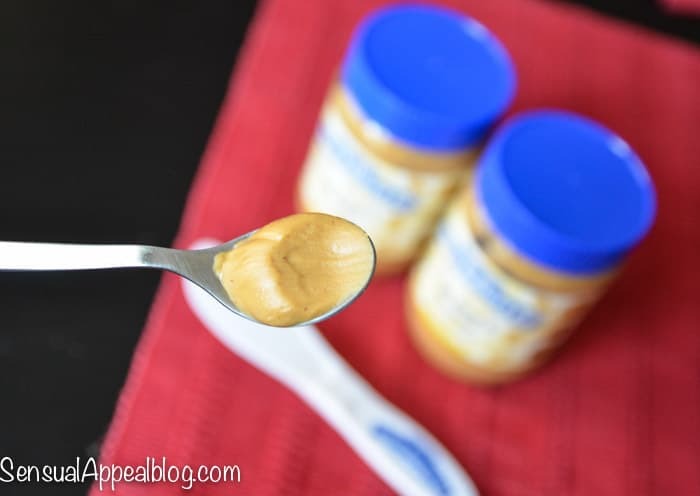 Isn’t peanut buttera and honey just a dreamy combination? I totally know it. So delicious! This peanut butter is amazing. And yes, I have received it from Peanut Butter & Co and everything I say here is totally my opinion only but seriously – once you have a spoonful you will know what I mean. So deliciously creamy with just the right amount of sweetness. It’s like dessert. Ah.. I wish I had some left. Yeah, it’s all gone already ahha, womp womp. So, would you like to try this for yourself? For free? Let’s do it! Enter in the Rafflecopter below to be entered to win the same setup as I did. That is… two Peanut Butter jars and that fun big knife thing. It’s fun. Giveaway ends on May 21st. US only. Winner will be notified by email. I love eating peanut butter nestled into a soft medjool date. It’s such a tasty combo and a perfect balance! Not to mention, it’s the perfect pre-workout snack. Irina, I missed you! Great combo! I’m always here! Always keeping up with your blog 🙂 I’ve just been awful at commenting in general haha. Keep up the awesome work, your posts have been great! I also love eating peanut butter stuffed in a date and maybe a little bit of salt! Perfect combination. You can never go wrong with peanut butter and a banana too. Date huh, you’re the second person that’s said that – I’ve never thought about doing that. Thanks for the tip. Straight from the jar! Bees Knees is THE BEST. HECK YEAH – my way! 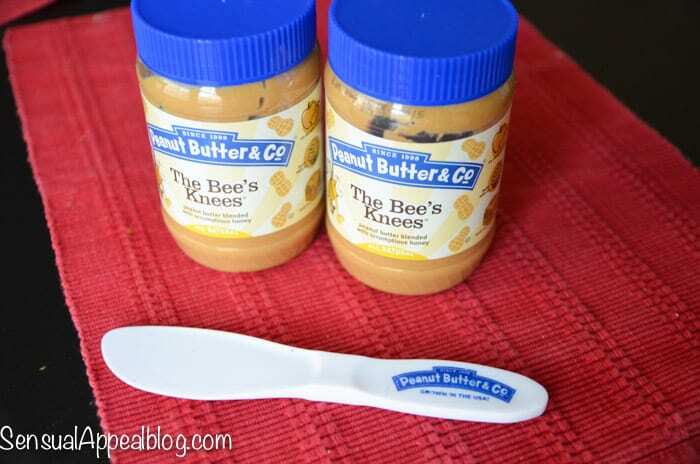 I love eating peanut butter right out of the jar with a long spoon! Oh man, I Wish I liked sweet potatoes made sweet. I’m a savory girl for sweet potatoes. Great idea though! Oh yes I lovee mug cakes! Mmmmmh love PB&Co! The chocolate ones are delicious! Mmmm peanut butter! I get in big trouble with this stuff, it usually involves a spoon and my mouth ha! But I do also like making peanut butter cups made with coconut oil, cocoa powder and stevia. my favorite way to eat peanut butter is with a banana. simple, but delicious! I enjoy peanut butter spread on my breakfast toast. Thanks! Straight out of the jar….or in oatmeal! My favorite way to eat peanut butter is on bread with banana slices! My favorite way to eat peanut butter is on frozen bananas! Love eating their white chocolate peanut butter with Apple slices. Its soooo good! ooh I haven’t tried that one yet! I love dipping celery sticks in peanut butter! Straight out of the jar with a spoon! Or with microwaved Quest bar. I love eating it straight off the spoon 🙂 Sometimes I even sprinkle a few chocolate chips on there! Weird but my favorite way to eat peanut butter is in a smoothie with blueberries and yogurt. PB & Banana on cinnamon raisin toast! 🙂 Thanks for the chance to win! I like to have peanut butter in my smoothies. Everyone talks about how great this brand is but I can’t find it out here. It drives me crazy! I love peanut butter toast with banana! I love adding a spoonful of peanut butter to my big bowl of Gluten Free oatmeal! It is so gooey and warm melted! I also like it on celery, and made into Nora’s Nut Balls recipe. I like to use peanut butter in Thai foods! i love peanut butter on my toast or on celery! Pretty sure I could LIVE on peanut butter. Haha! I have never tried this peanut butter before, but would love to! Peanut butter is a fave! I love swirling in a big dollop of peanut butter into my oatmeal in the mornings! Peanut butter in chocolate ice cream!! This looks divine! 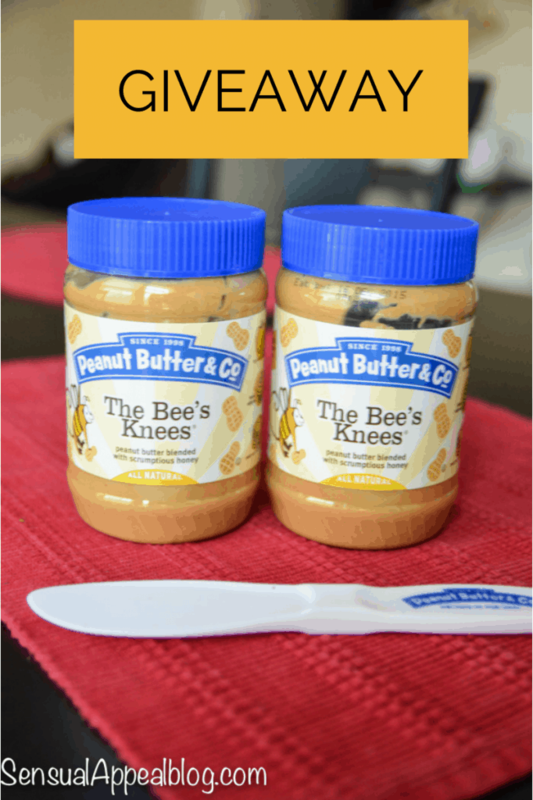 I eat Peanut Butter and Honey sandwiches a lot…is that what the Bees knees refers too? I like it on my toast in the morning! Yum!!! I have the chocolate one and LOVE it!!! My favorite way to eat peanut butter is mixed with honey served on a sweet cracker. I also like it inside celery.